SeaZip Offshore Service provides sophisticated service vessels and excellent ship management for fast and safe access to offshore sites. We specifically focus on devising smart solutions for the offshore wind and oil and gas industry. We provide full service packages based on short or long-term charter contracts. Sentient Science a trusted third party uses a materials science-based approach to execute always on computational testing of rotating mechanical systems. Sentient's DigitalClone Live provides long and short-term life prognostics of wind turbine components and systems providing life extension actions that reduce the cost of energy by $2/MWh today. Senvion is a leading global manufacturer of onshore and offshore wind turbines. 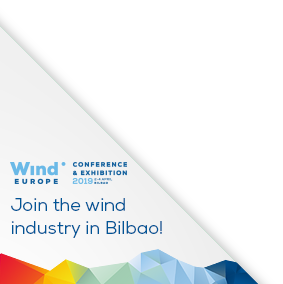 The company develops produces and markets wind turbines for almost any location – with rated outputs of 2 MW to 6.15 MW and rotor diameters of 82 metres to 152 metres. Shoreline is a simulation software provider and consultancy firm within installation commissioning operation and maintenance and decommissioning. Our tools are cloud-based and can be used both for strategic long term decisions and for operational planning. Siemens Gamesa is a global leader in the wind power industry, with a strong presence in all facets of the wind business: offshore (#1), onshore (#2) and services (#2). Through its advanced digital capabilities, the company offers one of the broadest product portfolios in the industry as well as industry-leading service solutions, helping to make clean energy more affordable and reliable. With more than 90 GW installed worldwide, Siemens Gamesa manufactures, installs and maintains wind turbines in the onshore and offshore segments. Its order backlog stands at €23 billion. The company is headquartered in Spain and listed on the Spanish stock exchange (traded in the Ibex-35 index). SkySpecs automates your aerial workforce measurably reducing costs downtime and resources needed. Our 100 per cent automated drone inspections provide: 25-minute turbine downtime for inspection and 24-hour report turnaround. Proud members of AWEA the National Drone Alliance and Wind Europe. Smart Manufacturing Technology specialises in transmission technology and provides transmission design and analysis software and engineering consultancy. SMT supplies a complete set of tools procedures and expertise for transmission design and development together with manufacturing technology and expertise for quality optimisation and cost saving. With over a decade of experience Smulders supplies high quality foundations and substations for the offshore wind market. We are driven by commitment to our customers our motivation to deliver high quality is unsurpassed. Smulders represents a solid foundation for your project and your turbine. Passionate about steel! SPX FLOW Bolting Systems is a full-service global manufacturer of controlled bolting solutions including hydraulic torque and tensioning systems, system rentals and flange management database software. We position ourselves to be your partner in flange management enabling you to complete your project safely in less time and on budget. Tecnoconsult Engineering Construction is an Italian Company settled in the Marche Region (Central Italy, nearby the Adriatic Sea) born by a SAIPEM S.P.A. spin-off with more than 35 years of experience in Oil&Gas Projects Services, able to operate at any level of Engineering Design, for Conceptual Projects till Commissioning and Decommissioning activities. Among its main references Tecnoconsult can boast Subsea Cables and Floating Engineering support. Due to its offshore specialized skills, Tecnoconsult is developing new skills in the field of renewable energies and environmental low impacts activities.